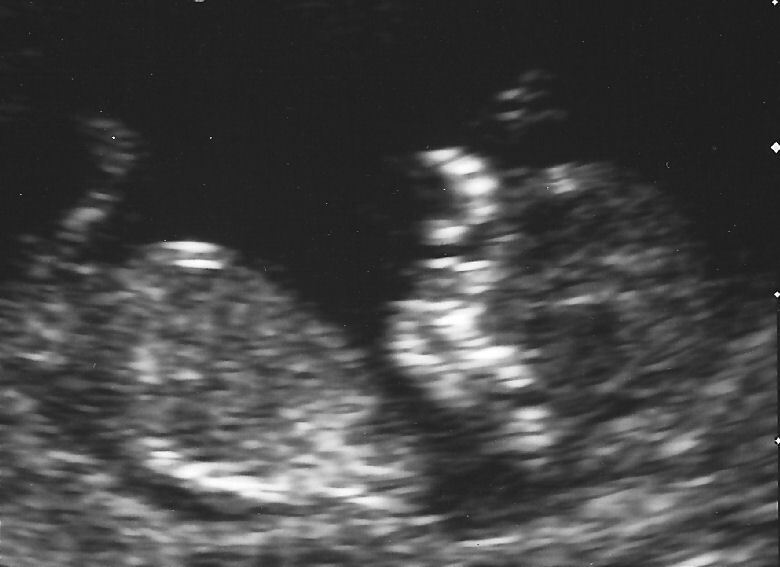 Despite only being 15 weeks pregnant we’re already getting a small collection of pictures. 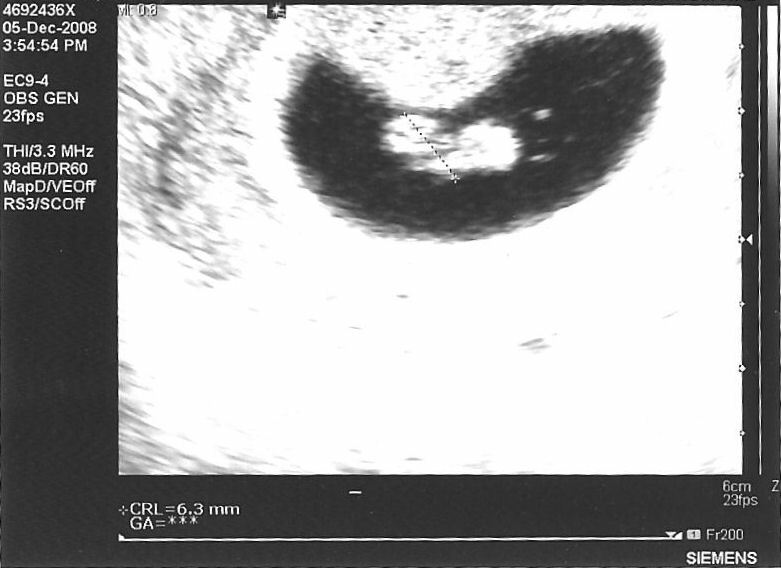 This first one was done at only 7 weeks after a few niggly problems, the white blob top left is the head, the bigger blob to the right is the yolk sac and the little diagnal line is measuring it’s length, which was 6.3mm. Despite being that tiny we could still see the heart beat on the screen which was very exciting!